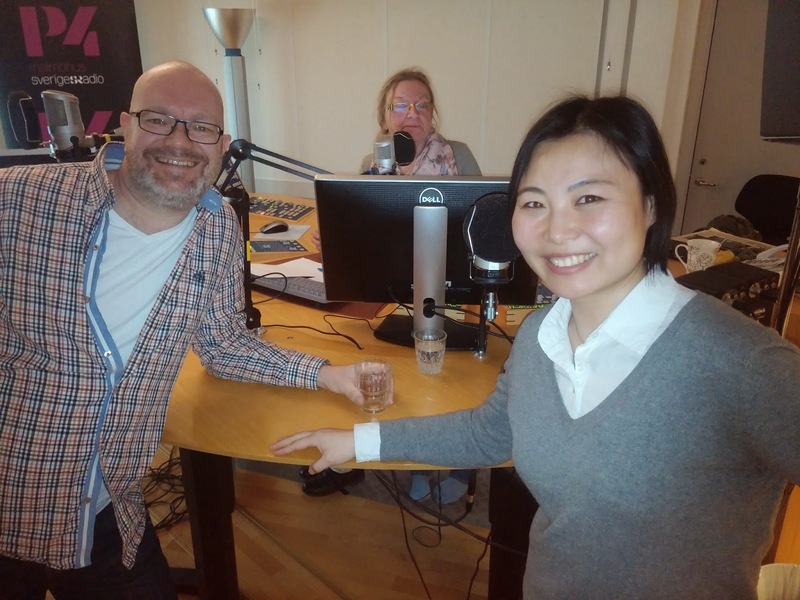 Dos Chinos on Dos Wheels: Speaking (a tiny little) Swedish on Radio! Speaking (a tiny little) Swedish on Radio! Speaking of challenges... I am organizing an open house for the Malmö Toastmasters Club, and our PR team did a fantastic job reaching out to the local media outlets. As a result, another club member, Magnus Andersson, and I were given an interview opportunity on the Sveriges Radio (SR) P4 Malmöhus radio station! It was particularly challenging for me because the interview was mostly conducted in Swedish. In addition, it was live broadcasting, and there was no script! Luckily Magnus did most of the weightlifting - God, he has a gorgeous voice! I understood the conversation somewhat, and actually attempted to speak a little Swedish here and there, and that was nerve-wracking. My head was looping something like this in the first couple of minutes, "Ahhh! *Need to calm down otherwise you won't understand anything. * Ahhhhh!" Check out the SR article and audio here! Jag tror att du låter lysande. Magnus har en fantastisk röst. Awesome job Shu! Happy you managed to contain your butterflies. That would have been a sight.